Having Trouble with your Sewer System? Call Rooter Drain Expert! We are a family owned Los Angeles County company, serving the entire area for many years now. If you build or buy a home or a business location that is not serviced by public sewers, you should hire us and get all the benefits of our experience and expertise. Tree roots can extend a few meters underground and sometimes they penetrate sewer pipes, especially old and already cracked ones. If you suspect you have a tree root problem with your sewer system, call Rooter Drain Expert and we will diagnose your problem. If you have roots in your sewers, we will successfully deal with them using either Snaking or Hydro Jetting. For this method, we use a drain snake with a special, powerful cutter device attached to the head. It cuts and crushes even the toughest roots and debris blocking the pipes, leaving the pipes undamaged and unclogged. This is one of our newest solutions to clean sewers. We use the Jet Rooter machine, or the Hydro Jetter, which also works like the snaking method, but instead of the cutter head, it has a powerful Hydro Jet head. It blows 4,000 psi (pound-force per square inch) beams of water and rotates at high speeds, which cleans your pipes and drains like nothing else ever could. If you have a problem in your sewer system you cannot identify or you are moving into a new house and you want to do a complete system checkup, call us and we will give you a thorough analysis. By using a sewer camera inspection, our technicians can show you a live feed of the inside of your pipes and easily assess the situation. With our new technology it is no longer necessary to dig trenches along the entire length of the pipe to repair or replace it. We deal with those problems by using existing openings on your sewer system or only digging an entry and exit point, which is significantly smaller compared to the old digging method. 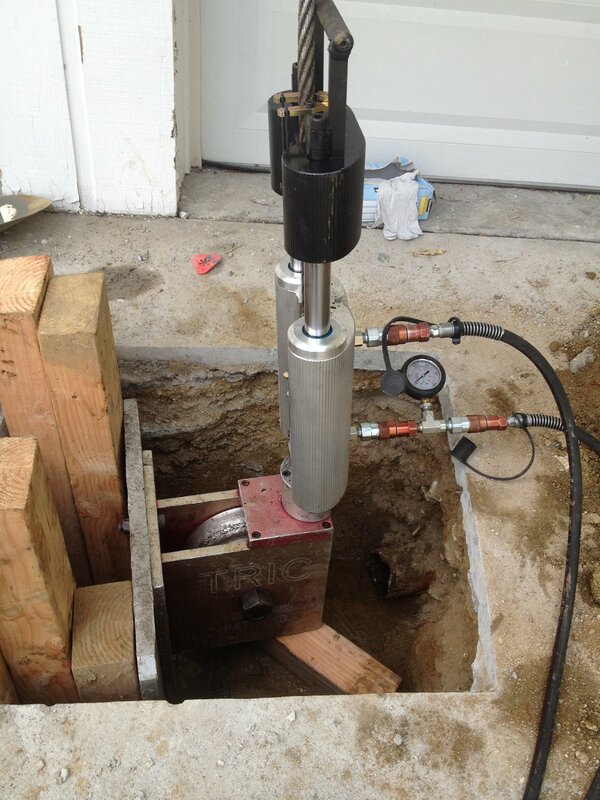 The Rooter Drain Expert has a 100% job success score and we employ approved bonded sewer contractors. Bonded sewer contractors are the only ones certified to work on your lower lateral sewer pipe. That’s the part which goes under the sidewalk and the street, but the Santa Clarita Municipal Code states it is still the responsibility of the owner of the building.